Walking cane - Soft touch right handle. 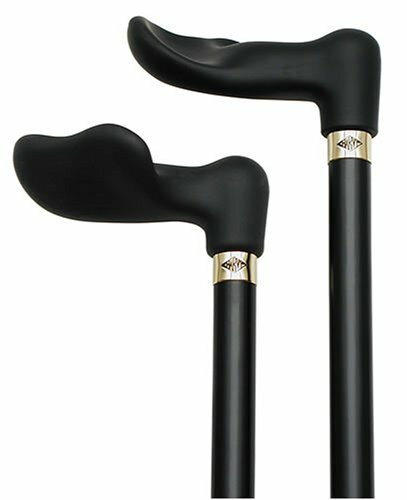 This walking stick cane has a comfortable anatomical palm grip handle good for arthritis sufferers. This wooden cane is unisex. This walking aid has a black stained hardwood shaft. This custom cane has a weight capacity of 250 pounds. walking cane - Soft touch right handle. This walking stick cane has a comfortable anatomical palm grip handle good for those arthritis sufferer. This wooden cane is unisex. This walking aid has a black stained hardwood shaft. This custom cane has a weight capacity of 250 pounds.